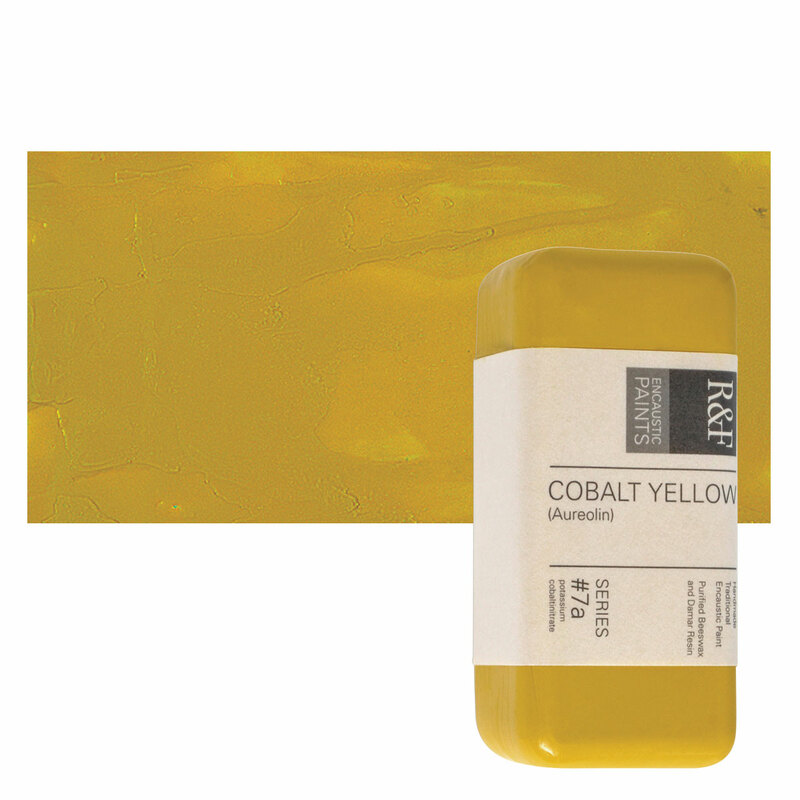 Cobalt Yellow is an expensive, transparent, very pure yellow with only fair hiding power. It is reliable in watercolor and makes particularly good tints. However, it must be carefully manufactured in oil form, or it can brown. Cobalt Yellow is known for good mixing quality with all other pigments, and it is useful in glazes and for tinting. Cobalt Yellow has good permanence and lightfastness, and it can withstand strong sunlight. Cobalt Yellow is highly toxic by inhalation or ingestion. The ingestion of this pigment has caused cyanosis (low oxygen levels in the blood) due to methemoglobinemia. Cobalt comes from the Middle High German word kobolt , an underground goblin, because miners thought cobalt harmed silver ores. The discovery of the potassium and cobalt compound used to make Cobalt Yellow is credited to N.W. Fischer in Breslau in 1848. It was not introduced as an artists’ pigment until 4 years later, by Saint-Evre in Paris. During the previous century, it was considered the only color that could reasonably replace Indian Yellow.